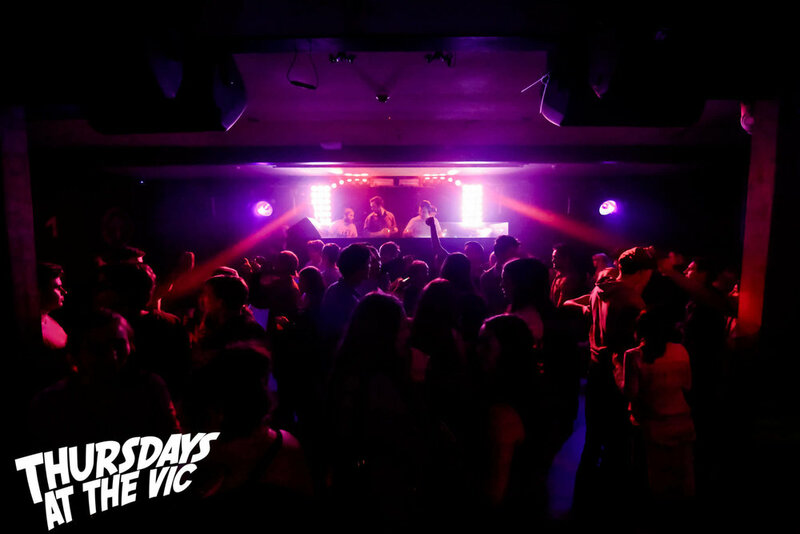 Whether it's a Friday after work social, a Thursday night student party or simply an itching to hear a live band and have a boogie, the Victory Hotel has it all. With six unique bars scattered throughout the venue, you can always find what you are after in a "great night out". Live bands, entertainment, karaoke, plus exciting promotions and competitions are just the beginning of what the Victory Hotel can offer you! Our Garden Grill is open 7 days a week for lunch & dinner. Our menu caters for all with a fantastic selection of gourmet burgers, sliders and traditional pub flare. Our Graziers Steaks are the best in the area. We cater for small and large groups and if you're in a hurry for lunch to get back to work let our friendly staff know for that extra quick service! 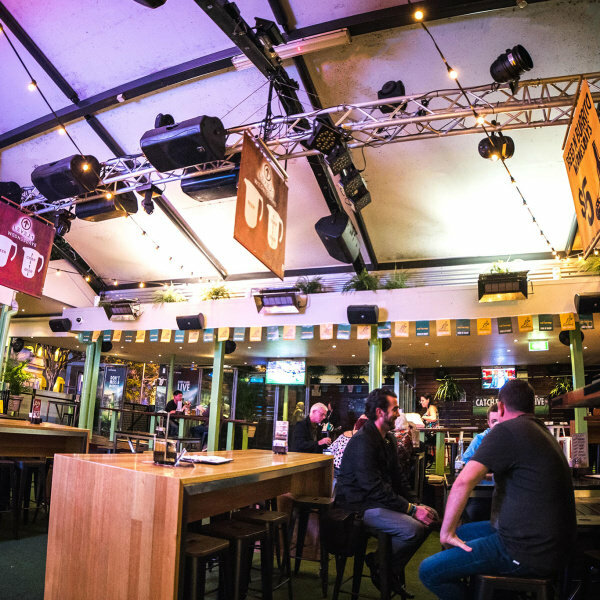 The Victory Hotel's beer garden is home to live music, showcasing exactly why it has a reputation as "Brisbane's favourite meeting place". The only open-aired beer garden in Brisbane, The Victory Hotel's beer garden is the ultimate environment to kick back and relax. The bar has something for everyone, boasting an extensive range of local, premium and imported beers, a well-rounded wine list, and enticing cocktails, plus all the live sporting games are sure to be on the big screen. It's the perfect place to meet for after work drinks or kick off a big night out. Our Resident DJ direct from the UK Dj Lee Stephen who has held residencies throughout Australia, Europe and in Ibiza playing the latest in Dance and Club music. We've slowly updated the club to a intimate warehouse party vibe that all can enjoy. Grab a cocktail and strap in till the early hours of the morning! The Jewel in Victory Hotel's Crown. The newly renovated Hornblower's Bar has something for every discerning taste. Hornblowers Bar offers you a large range of top shelf spirits and Cocktails an extensive range of cocktails and premium spirits, Hornblower's caters to the city dweller with taste. Decadent decor sets the mood and our fantastic trained staff attend to your experience. Come in and try the Hornblower's Bar great for Friday after work drinks, Saturday cocktails or even the morning coffee to get you started at work. Here at Victory Hotel our newly refurbished gaming room features 30 of the latest gaming machines, Keno terminal, and link jackpots including five of the latest Lightning Link Machines. With Ticket in Ticket Out system operation technology (tito) this allows you to move quickly and easily between machines. Our machines pay up to $5,000 as a ticket so there is no waiting for cash. To add to your experience we provide complimentary tea, coffee and soft drink for machine players, as well as delicious snacks. For those who would like something else, our premium cocktail bar has a product range that is second to none. Our comfortable Keno lounge area is ready for you to watch your numbers come up and play along with your friends. Join our Monty's Members program to get points, discounts, all the latest updates, birthday offers and most exciting bonus points from our unique U-Spins. Thursdays at The Vic! Brisbane's biggest and best Thursday night out! And remember we bring you all this for Free every week… No cover charge ever!